Seminary students at Olivet University (OU) Riverside rediscovered the meaning of work and ministry by reflecting on the exposition of great theologians John Calvin, Martin Luther and the Puritans. “Work is not a curse. Rather its is a blessing and gift of God!” graduating M.Div. student Beata Ma said. Around 30 theology students in the “Curricular Practical Experience” course discussed and shared their ministry experience each week in the course. The class discussion is based on theological and biblical texts that help Christians reflect on the meaning of work and ministry in today’s world. 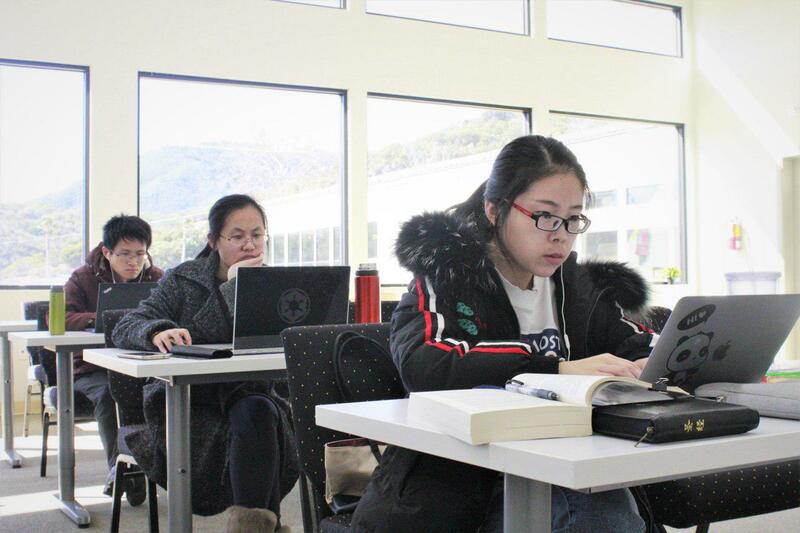 Jiaxu Zhang, who interns in a marketplace ministry, shared that the course helped her realize the value of work. “Work is not a curse. God has given us the gift to work well. More importantly, God calls us to be co-workers. I have found hope through many class lectures. God is training me to learn to work with Him. I believe in this process and look forward to participating in the big commission.” Class lectures highlighted the biblical doctrine of work suggested by John Calvin helped seminary students to set up a proper understanding of God’s calling. It is that every Christian has a vocational calling to serve the Lord in every sphere of human existence. Students hope to have the sincere heart to embrace the holiness and dignity in whatever work they do.